Healing Hearts would like to publish links to appreciations of the founder of the Charity, Thyra Quensel (Zero) given below. Though Thyra is not with us, her spirit lives on and the legacy of work remains as a continuing charity. 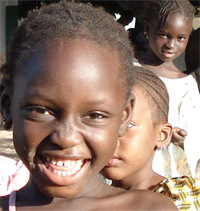 Healing Hearts is a Sufi Charity with projects in The Gambia, Timbuktu, Kenya and Glastonbury. 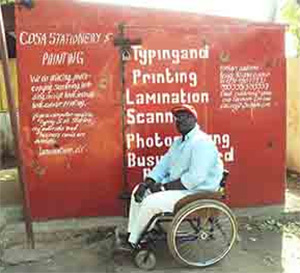 It started as a small venture to send wheelchairs to The Gambia in 1997. Word spread, and as donations came in, we started to support a school too. In the meantime Healing Hearts is running 2 schools, distributes qurbanis, rice, medicines, medical equipment, wheelchairs, mosquito nets, and builds wells. In Glastonbury we do weekly Zikrs and organise Sufi events. During the last centuries no other continent has been made to physically suffer the way Africa has. At the same time this material poverty is often connected to spiritual greatness. It is here that your heart opens up. Africa has soul. Even the ground vibrates, as if it is breathing. You see people who have nothing, not even limbs of their body, and still they are smiling. They have the kind of enlightened faces that can only come from a peaceful heart. Materially Africa’s suffering is screaming at anyone who cares. But in its midst a heart is beating which we are part of. The heart of Timbuktu has been destroyed. 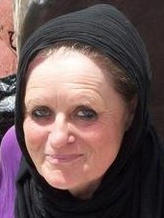 Help the Handicapped Ladies of Timbuktu rebuild their lives. A bag of rice costs £25. Please donate!